Still cleaning parts. After my wire brush marathon it looks a lot better. I broke out my 6-year-old manifold coating and gave it a go. Looks pretty good. I also put fresh hoses on the fuel pump and cleaned up the hose clamps. 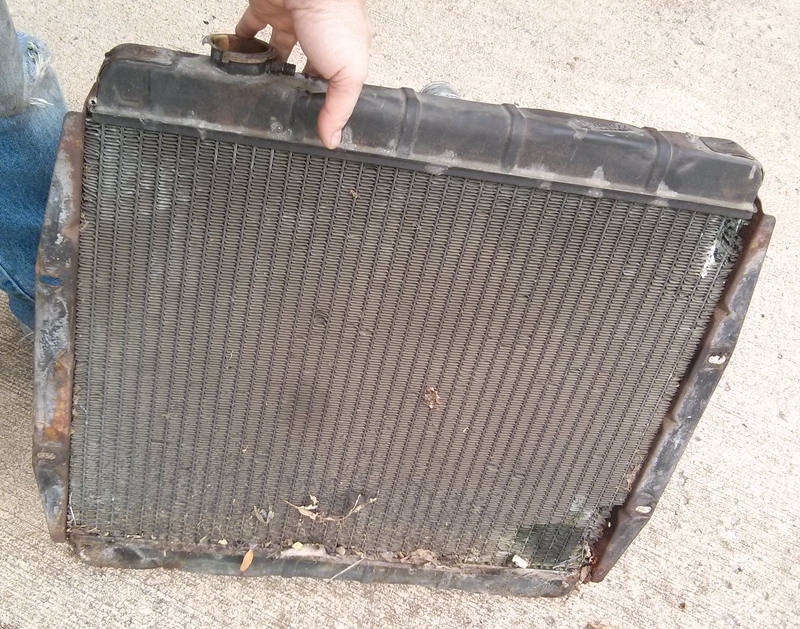 I also might have found someone to re-core the radiator. This thing has been around the block and is rotted out big time. Click on the picture to see the damage close up. I was just going to live with this until I had the engine and brakes working but I got a lead getting it re-cored so I pulled the radiator out, flushed some nasty antifreeze out, and got it cleaned up to take in. The good news is my gasket set has arrived. 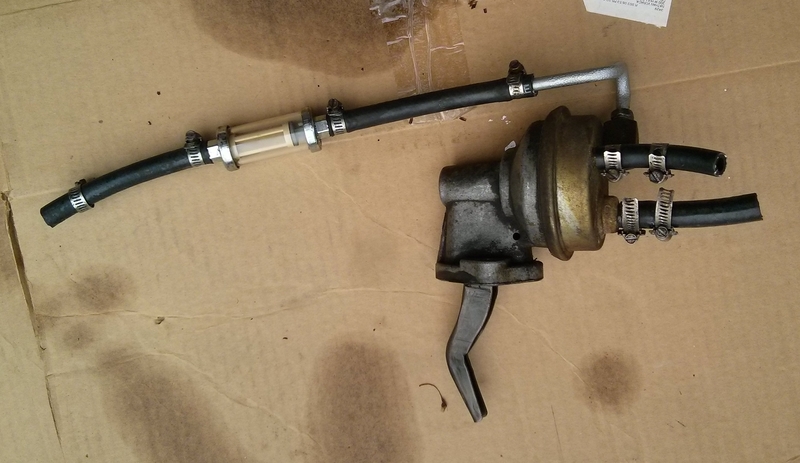 I also have a new pushrod, thermostat, and power brake check valve. Eventually this car is going to have things put on instead of taken off.